Developer Tools Blog Learn to program C++ with C++Builder Community Edition: #5 Operators, and final application! 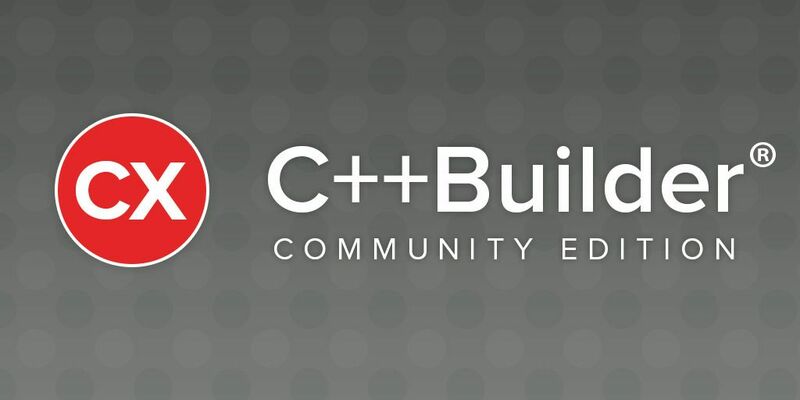 Learn to program C++ with C++Builder Community Edition: #5 Operators, and final application! Welcome to the fifth and final episode of Learning C++ with C++Builder Starter. Last time, we had a calculator and numerical input, demonstrating using boost::optional, smart pointers, and more. This post is shorter: it will finish the calculator with operators (implementing addition, subtraction, etc) and end with a full application, ready to move to cross-platform if you wish. The calculator is almost functional. The one thing missing is actually performing the math operations. The left operand is 3, the right operand is 4, and the operation is Multiply. Along with the factory method, switching on Op. Any call to the interface's methods, Calc or Name, will call into the implemented descendant. This is currently simplified - we’ll examine some other things that have to happen here in a moment. This allows us to calculate the result of an operator, so long as we have two numbers. How do we get those two numbers? Last post, we had an accumulator - a small object whose job was to take button keypresses and turn them into numbers. When has the user finished typing? In both these cases, it indicates one number is complete, and something else needs to happen: in the first case, that the second number needs to be entered; in the second, to calculate the result. Also in the first case, entering the second number might mean calculating as well - if the user has entered ‘1 + 2’, and presses the multiply button, they want to multiply 3 by something. That something is the new right operand, and the result is the new left operand. This means that SetOperator needs to be able to promote the accumulator’s value to a new left or right operand value, and also sometimes invoke Equals and moving the result to the left operand, before setting the operator. Secondly, the left and right operands, and the result, do not always exist. When the calculator app has just started, and the user has entered nothing, there are no operands or result. When Equals has been pressed, there is a result but no left or right operand. This harks back to last week’s post: how do you represent something that may or may not exist? Using boost::optional. They’re not initialised to any value in the class constructor, since at app startup they are empty. First, let’s create a method for moving a number from being typed in (the accumulator) to a left or right operand. It’s fairly simple: if there is no left operand, initialize the left with the accumulator’s value; if there is, then initialize the right operand with the accumulator’s value. If there’s already both a left and a right, that indicates a logic error. We can now expand the method called when the user wants to set the operator - when they press + or -. If the operator changes, and the user was typing, that needs to be promoted to an operand. Assuming all this resulted in a left-side operand, create an operator class instance. Not much left! We can now make use of the operator classes we created at the beginning of the post. The calculation method, called Equals after the button, will promote the accumulator if necessary (the user might have been typing what should become a right-side operand); if it has a left, a right, and an operator, call the virtual Calc method to get a result. One final step: displaying this onscreen. A traditional calculator only displays the number currently being entered, or the result. The operator interface we designed has an operator name, and there’s no reason our app can’t be slightly more advanced than a desktop calculator. If the user is trying to calculate “1 + 2” why display only 1, or only 2, and no sight of ‘+’? There's not much new here: this uses string streams, and dereferences the optional left or right values. And that’s it. Really. Congratulations, you now have a fully functional calculator! This code, being FireMonkey, can be compiled on Windows, macOS, and mobile. (Note if you want to target Android, you'll need to install Boost for Mobile.) You can theme it, and change the layout for any device using the multi-device designer. You've created a cross-platform app without even trying. Thanks for reading each post. I hope you learned some good stuff! Part 5: Operators, and Final Application!